Pastor Jim Burnett, below, holds copies of his brand new hit western “The Bible and the Badge.” A hit? Yes! 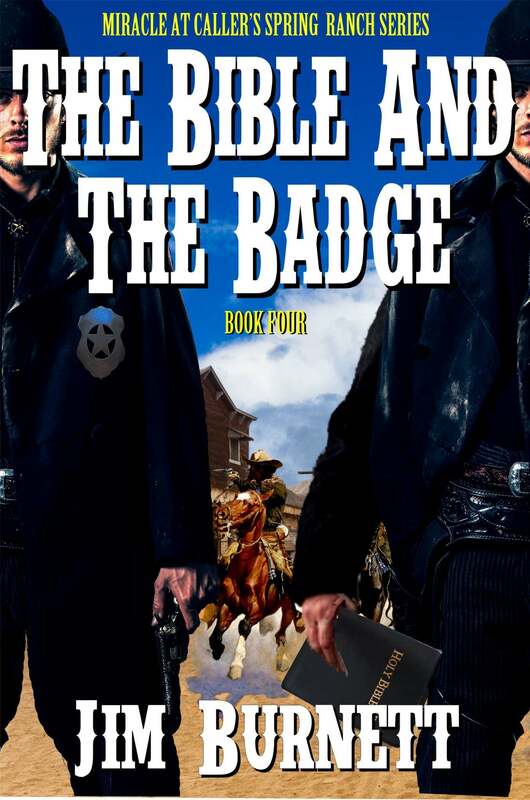 “The Bible and the Badge” is currently making it’s way up the #western bestseller chart. A brand new hit from a man who has been entertaining readers for a long, long time. Jim Burnett is a pastor, speaker, and author who has pastored four churches in Mississippi over his twenty-eight years in ministry. Currently, he is the lead pastor of Willow Pointe Church in Hattiesburg, Mississippi. Jim has published a plethora of leadership articles for Christian magazines and has also written a Christian western trilogy called Miracle at Caller’s Spring Ranch Series. One of the most sensational Westerns ever written—this is the exciting next installment in the “Callers Spring Ranch Western series.” Jim Burnett offers up a Western salute to our men and women of the military and law enforcement who wear the badge and tote the gun under the authority of God. Lucas and Levi Reese are twin brothers who answer the call of God to be lawmen in the Kansas frontier town of Caldwell. Raised by Quaker parents on their homestead in Horse Creek, Wyoming, law enforcement seems to go against their upbringing until these two and their family sense God’s call for them to wear the badge and tote the gun. Praised for this series from across the Western genre. Just make sure to grab your very own copy of this, the most exciting Burnett adventure yet!